Tri-City In-Line Hockey League (TCIHL) is a non-profit organization established in 1993 for the development of Youth In-line Hockey. TCIHL was the first inline hockey league in California sanctioned by USA Hockey. Our co-ed recreational program is open to new and experienced players aged 5-17. WE WELCOME NEW AND INEXPERIENCED PLAYERS! WEATHER UPDATE: All activities are on as scheduled. Reminder: No games scheduled for April 19-20. Please check with your coaches for practice this week. Scroll down for upcoming games! For team standings & player stats use the RESULTS tab above. Bantam goalies: please visit the Goalie Stats/Schedules page under the PAGES tab to see current stats and schedule. AAU Insurance. Please visit cut & paste the following link if you would like to look up an individual registration or contact the league. Insurance has been purchased for you. ﻿Registration for the Fall 2019 season is now open! Sign up now to get our early bird discount. Click HERE to register. 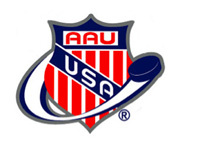 May 31st - Jun 2nd - Play-off & championship games, however, bantams may finish before Memorial Day due to ice player conflicts. Join Coach Peter Weiss in the 2019 Mayor's Challenge to promote water conservation! Challenge runs from April 1st-30th. Click HERE for more information. TCIHL requires that coaches, assistants, refs, and Board members purchase an AAU membership to participate in league activities. $16 for coaches, refs, and league staff and volunteers (non-athlete). Memberships expire on 8/31 each year! For Programs, select “Youth Program"
Select Membership Term/Category for "1 year"
7) Print out your “printer friendly” receipt. The AAU membership card will be on the third page. Please contact us if you have any questions or would like to get on our email list for upcoming activities.